Our upstairs hallway/landing/library is coming along nicely! We painted the walls a super-rich chocolate brown. Well, some of the walls. 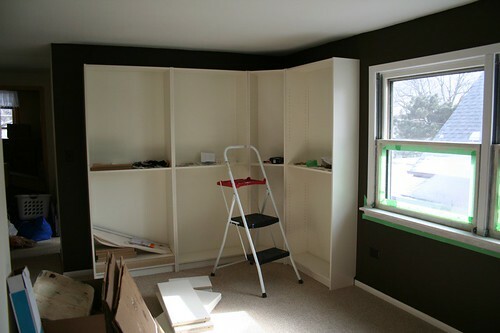 We only painted the two walls where the bookshelves are, because there’s too much stuff in the way to paint the rest! We’ll get to it eventually. The ceiling is the same white it was. I’m not sure what to do with it yet. Brandon wants to keep it white, which is the obvious ‘safe’ choice. I don’t really mind it because we’re painting all of the wood trim white, and the bookshelves are white too. It’s just so stark though. I don’t know if I’d want it to be the same brown as the walls, because it gets quite dark at night. Maybe a brownish/taupe color? Something a bit lighter than the walls, but still complentary? Or a color from the carpet (tan)? Any ideas? I think that the ceiling in white is a missed opportunity, there are so many great colors that go well with chocolate. A fiery red, or a really soft pale grey/blue, mauve or pink would be great too. What about a dusty pale sage green, all of these will stop the room from getting too dark, but will give you a bit of drama too. A pale, robin’s egg blue would be, I think, both stunning AND would keep the room from being too dark. It really is lovely so far! I dunno I quite liike the ceiling white, it bounces off the doors of the bookcases! And of course i love that you are able to have a space just for your books anbd the best thing is that you can store your books BEHIND GLASS!! I think a very pale blue or a bluish white would be great. Glacial Tint is a great white and Himalayan Mist is a gorgeous pale blue, both are from Behr. I think I’ve chosen a color! Sage green. 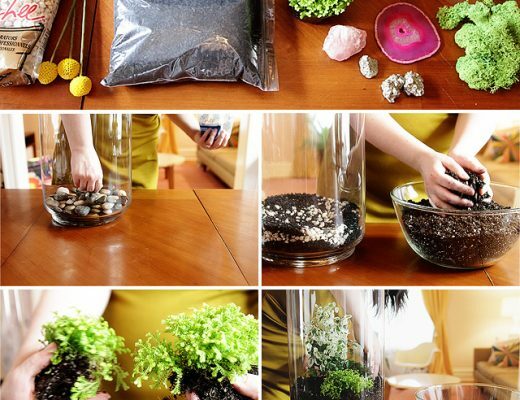 I’ve been looking through your blog and I LOVE practically everything I’ve seen so far! I had a question about your bookcases and I can’t seem to find out if you’ve written about it before. Where did you pick them up at? And how are you anchoring them into the wall? My husband and I love the idea of a small library (so i stop stacking the books all over the house ha!) and I was curious how you did yours because I just love it! Thanks! 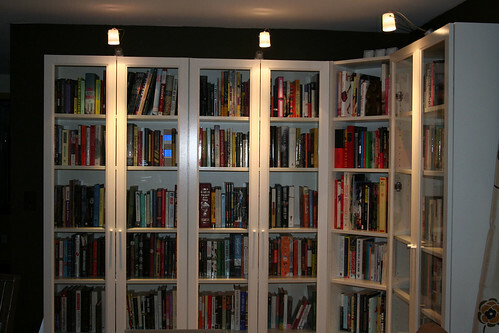 The bookcases are BILLY from IKEA, with the optional glass doors. They are anchored to the wall via brackets along the top.